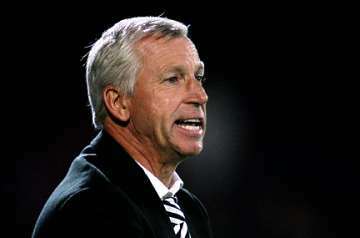 Alan Pardew on the League Cup | NUFC Blog. Archive for tag: Alan Pardew on the League Cup. Pardew has no fear of relegation and will “attack” the cups. The Silver Supremo: Greedy for silverware. Speaking in a rare interview, this time for BBC Radio Newcastle’s “Total Sport”, Alan Pardew has given his strongest hint yet that he no longer fears relegation, and will go all out for the FA and League Cups. When he was asked by Total Sport listener, “Liam,” on whether going further in the League Cup would be a “realistic target”, and whether he would be fielding a full strength side in Wednesday’s fourth round tie against Blackburn Rovers, the Silver Supremo was unusually secretive, but for obvious reasons.